Much of that which is cherished at Williams College would not be possible without the dedication of students, who pushed for change within the Williams community, and the support of professors, administration, and staff. The Multicultural Center was established in 1989 following student protest. 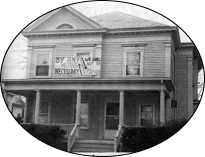 On Friday, April 22, 1988, students belonging to the student group CARE (Coalition Against Racist Education) took over Jenness House — the temporary home of the Dean’s Office. Students of various ethnic, racial, and religious backgrounds came together to demand that the college recognize the need for support for students from underrepresented backgrounds. The takeover lasted three days. Among the 15 demands the students asked for were a) more minority faculty to be hired, b) better recruitment of ethnic-minority students from low income backgrounds, c) for all students to be required to take a course focusing on the minority experience, and d) for the college to establish a Multicultural Center. 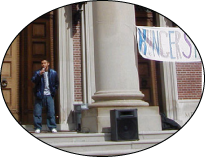 During the past twenty years, the college has worked towards meeting these demands. These gains have been accomplished through the leadership and empowerment of students with the assistance of faculty and staff. The college immediately began to work on establishing a Multicultural Center “to serve the unique social and cultural needs of [students of color and international students], open to the entire community.” In the summer of 1988, the college hired two students to research other campuses and their Multicultural Centers to determine how a Multicultural Center would function on the Williams campus. Throughout the Fall of 1988, the college, through a search committee, began to look for a director for this center. The Multicultural Center finally opened in the Spring of 1989 in Jenness House with Nura Dualeh as its director. In October of 2012 the Multicultural Center was rededicated as The Davis Center, named after W. Allison Davis ‘24 and John A. Davis ‘33. For over 20 years, the Davis Center has been an important part of this community. It has served as a safe space for countless students and a place to engage with others and learn from their experiences. 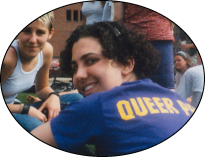 The Davis Center continues to support students and the Williams College community, focusing on the unique problems that racial, ethnic, and religious minorities, women, those of LGBTQ identities, and international students face as members of the Williams community. While the Center remains steadfast to its original mission, it is also evolving; it is time to recognize the changes afforded by those that fought for the Center’s founding, while acknowledging the need to develop new ways in which to meet the challenges of an increasingly interdependent and complex global community. For future updates, follow us on Facebook.